A big announcement out of E3 2015 was that Xbox 360 backward compatibility was coming to Xbox One. 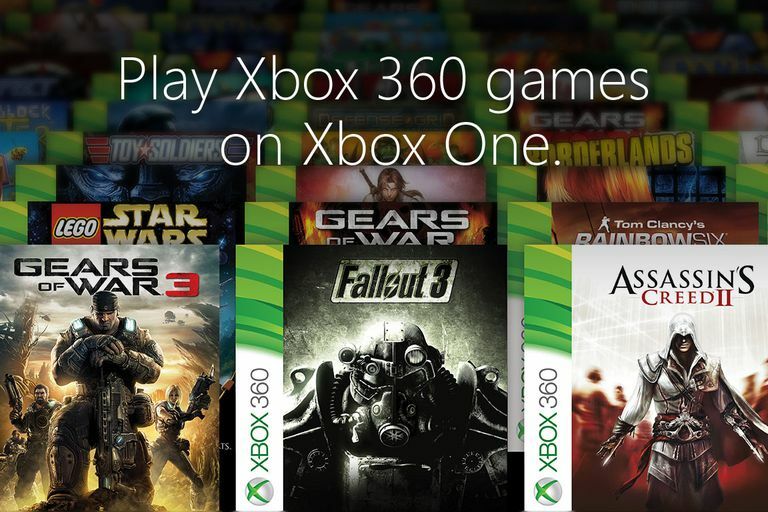 Beginning on November 15, 2015, players of many Xbox 360 games gained the ability to keep enjoying their favorites on their Xbox Ones. As of September 2018, the list includes hundreds of games. Of course, this list is subject to change. To see an up-to-the-minute list or to look for a game not yet listed here, check out Microsoft's list of backward-compatible games; the company updates the list frequently. Eurogamer also maintains a current list, conveniently organized by date. The list isn't terribly impressive yet, but it is a good start. Backward compatibility is a lot easier to implement on Xbox One than it was on Xbox 360, so expect more games to come quickly as more publishers sign on. Is the Xbox 360 Backwardly Compatible With Original Xbox Games?